"He wants us to help his family escape… We have to help him." Survival Pictures has unveiled a trailer for an indie drama called The Promise, set during the last days of the Ottoman Empire. The film follows a love triangle between Michael, a brilliant medical student, the beautiful and sophisticated Ana, and Chris - a renowned American journalist based in Paris. Starring Oscar Isaac as Michael, with Christian Bale as Chris, and Charlotte Le Bon as Ana. Also featuring Angela Sarafyan, Shohreh Aghdashloo, James Cromwell, Jean Reno, Rade Serbedzija & Michael Stahl-David. This seems like a big, bold attempt to tell the story of the Armenian genocide featuring with an impressive cast, which actually makes this worth watching. This also doesn't look so much like an indie, rather a very large production. I'm curious to see it. It is 1914. As the Great War looms, the vast Ottoman Empire is crumbling. Constantinople (Istanbul), its once vibrant, multicultural capital is about to be consumed by chaos. Michael Boghosian (Oscar Isaac), arrives in the cosmopolitan hub as a medical student determined to bring modern medicine back to Siroun, his ancestral village in Southern Turkey where Turkish Muslims and Armenian Christians have lived side by side for centuries. Photo-journalist Chris Myers (Christian Bale), has come here only partly to cover geo-politics. He is mesmerized by his love for Ana (Charlotte le Bon), an Armenian artist he has accompanied from Paris after the sudden death of her father. 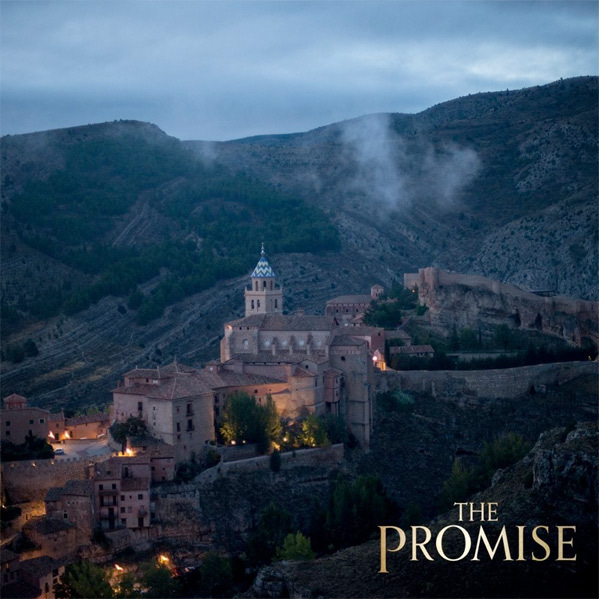 The Promise is directed by Terry George (of Hotel Rwanda, Reservation Road, The Shore), from a screenplay by Terry George and Robin Swicord. The film is premiering at the Toronto Film Festival this month and is seeking a distributor; no release is set. And why is it that? Not enough explosions? Agreed. I hope it too. I'm Armenian and I agree. You agree that you are Armenian or you agree that it will not do well in theaters because you are Armenian? Both, but also it won't do well in theaters. I wouldn't be surprised if it doesn't find distribution. Hum...You are not being objective here ragethorn. You are too emotionally involved. ;D Emmenez-moi au bout de la terre Emmenez-moi au pays des merveilles. il parait que la misère serait moins pénible au soleil. haha. From what I hear, it's a slow burner with great acting but nothing major. I just wish more movies would cover the Genocide. I just want our own Schindler's List. You have to have a powerful lobby for that. that's alas how it works. This looks really impressive both in terms of the story and the execution. I'll definitely check this out. Istanbul, not Constantinople. Istanbul, not Constantinople. Istanbul, not Constantinople. Istanbul, not Constantinople. Istanbul, not Constantinople. Istanbul, not Constantinople. Istanbul, not Constantinople. He seriously must not know history as Constantinople was also center of the Eastern Roman Empire for centuries.....better not tell him St. Petersburg is really Leningrad and Saigon is now Ho Chi Minh!! Reference to a pop culture blip by They Might Be Giants. I remember this song when watching Tiny Toon Adventures. Pretty awesome music video! Question is: when will Erdogan start putting pressure on the west to ban this movie? And why would he do that ? Really? This movie is set to a background known as the "Armenian genocide". Google for example "Erdogan Armenian genocide" and you'll see why mr. Erdogan might not like this movie. https://www.firstshowing.net/2016/new-4k-re-release-trailer-for-gillo-pontecorvos-the-battle-of-algiers/ Maybe something like this? Not actually about the events in 1945, yet a movie being very critical about the atrocities as committed by the French in Algeria. Indeed banned for 5 years in France. But that was a long time ago. I believe the movie is freely available in France for many years now. Holland has a history of colonial violence too. A ton of movies has been made about that. By Dutch directors, even supported by the Dutch government. So, I don't think modern day France and Holland offer the most striking examples of limiting free speech about historic events. This great movie ( thanks to the Italian Gillo) was indeed banned for a time in France, even though it didn't showcase the true horror, atrocity and discrimination committed by France on civilians, as this movie was just about the battle of Algiers, a very circumscribed conflict within the Capital. What happened in many remote places and villages is still taboo. France still refuses to apologize for the crimes committed on civilians ( May 8th 1945) and on the villages who supported the rebellion (terrorists for the French authority). Well, to be honest, I wasn't really aware of that part of French history. Since my own country committed, what only can be described as warcrimes against Indonesia, I am pretty sensitive about this stuff. Looking back so many years, it becomes more and more difficult to decide on what an apology in this case should look like, and in what way it should be made. In general, in case of large scale warcrimes, I believe apologies are just a 'first offer'. These warcrimes can disadvantage generation after generation and destroy significant parts of the social and economical structure of an entire nation. I was just reading an interview on deadline with Terry George and he had mentioned that Sylvester Stallone was trying to make a movie about the Genocide 40 years ago after Rocky, and the Turkish government shut them down. When asked how he got The Promise made, he replied "I kept it low key." Basically, admitting they filmed in Europe, not the Middle East. It's funny. This premiered last night and nobody is talking about it. So weird. This morning, rotten tomatoes didn't even recognize the movie. An hour ago, it's up now, no poster, no nothing. Apparently the Turks and Azeries are campaigning on IMDB to post negatives ratings for the Promise. Apparently, in one screening 7000+ people have rated it for an average grade of 2.4 lol Makes sense.